The first book-length study to examine the re-writing of school textbooks by the Japanese Education Ministry in an attempt to play down atrocities in China during World War II. The famous textbook crisis in 1982 was at the centre of a diplomatic storm extending through the 1980s as Sino-Japanese relations were beset by a series of political controversies. 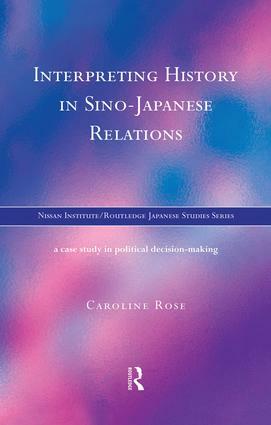 This fascinating account of the period reveals that Chinese and Japanese policy-makers were more concerned with changes taking place in international and domestic politics than with adopting a correct view of history.